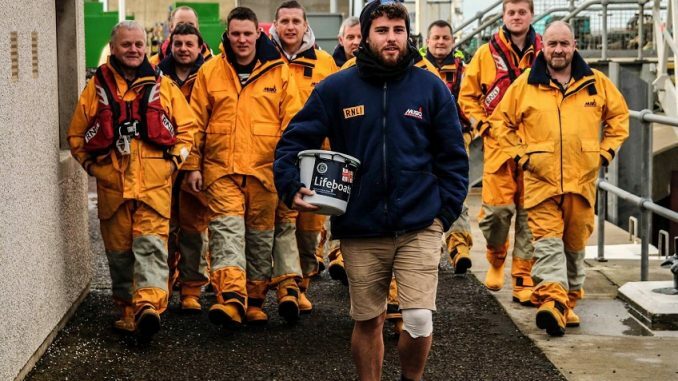 More than three years ago, isle lad Alex Ellis-Roswell set out from Minnis Bay to walk 9,500 miles around the British and Irish coastlines to pay tribute to his late father and raise money for the RNLI. Now the finish line is in sight, as he will be returning to that very spot this Saturday, November 11, where his family, friends, supporters and local lifeboat crew will be waiting to greet him. 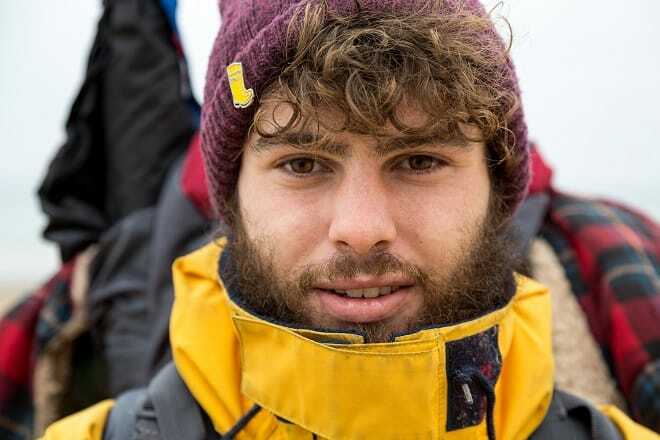 During his amazing odyssey, Alex, 24, has been chased by bulls and met Princess Anne. 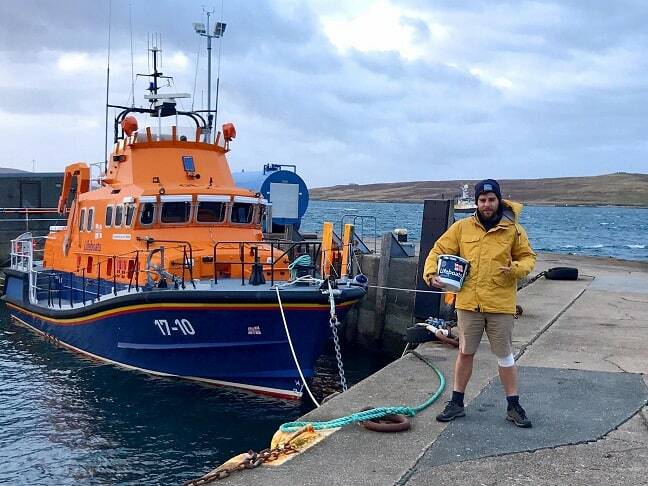 He’s slept in church doorways, sheep sheds and bird hides, visited over 200 lifeboat stations – and raised more than £62,000 for the lifesaving charity so far. In the last month, he has walked inland along the Thames to visit the four stations that lie along the famous river: Gravesend, Teddington, Chiswick and Tower. He started his journey on 3 August 2014 with the aim to raise as much money as possible for the charity. He left his job, gave notice on his flat and walked out with only what he carried on his back. Since then, he’s slept in a tent he carries with him – or relied on the kindness of strangers. He’s often been put up by lifeboat crew or people who have met him along the way. Alex has also amassed a significant following on social media, where his supporters have cheered him on through the emotional ups and downs of his journey. His route has taken took him clockwise around Britain and Ireland, including the Isle of Man, the Western and Northern Isles. His initial fundraising target was £10,000 – but he’s bust through that target. It was after his father, Sir Raymond Ellis, died at Christmas in 2013, that Alex set off on the journey of a lifetime. Before ill health, his father had spent much of his life dedicated to charity work and fundraising, which spurred Alex on. Alex said: “My dad’s ultimate stubbornness against what seemed to be a never-ending cycle of illness, pain, operations and setbacks will always be a very personal inspiration to me. 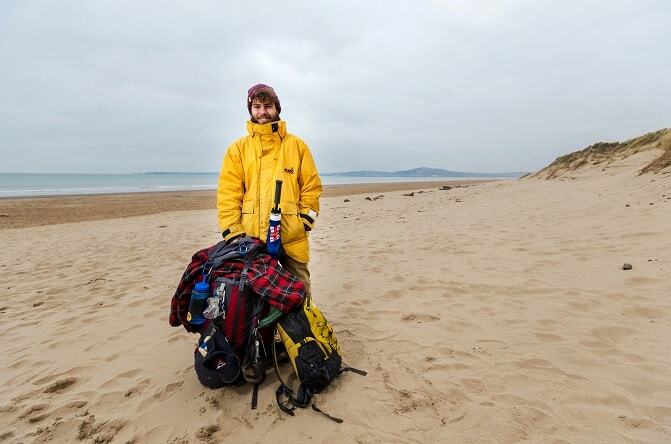 Alex’s target is now £95,000 which represents £10 for every mile he’s walked. Alex remains diplomatic and refuses to name a favourite station. But the crew at Falmouth helped him through a particularly rough patch. He said: “The loneliness gets you down sometimes. When I first entered Cornwall, I was in a really low place. There’s a train station in Falmouth, so I decided that I was going to get to Falmouth and quit. “I walked for 3 or 4 days, pretty much non-stop and at times overnight, to get to Falmouth, because that’s where I was going to quit. And then I got there and the crew there were awesome. They were nice people, and they made me a cup of tea after four days’ walking and it put me back on a high. So, it really is the crew that keep me going. “RNLI lifeboat crew volunteers save an average of 23 lives at sea every single day. In my opinion, they’re heroes. You can join the final stages of Alex’s journey by visiting his Facebook page www.facebook.com/alexellisroswell or by following him on Twitter @ELLISROSWELL. His fundraising page is: www.bt.com/DonateToLifeboats.